How do I know if I am divorced? We get asked this question by many Dominicans and other latinos from the USA. Usually the spouses are separated, perhaps for many years already, some years ago one of the spouses told the other that he/she was going to the DR to take care of the divorce only to never be heard of again. The person who contacts us now wishes to marry again, and needs proof of the divorce. We can help. 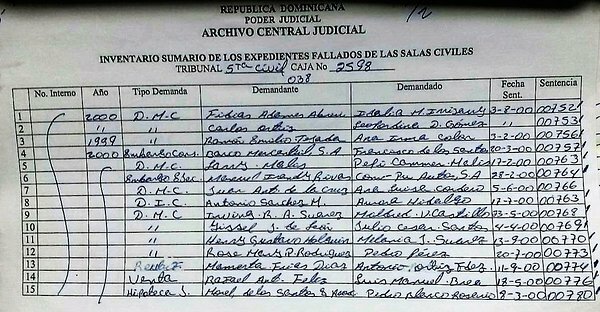 An index of Dominican court judgments from 2000. Note the disorganised order: on the same page there are decrees dating from February to August 2000 in no particular order. 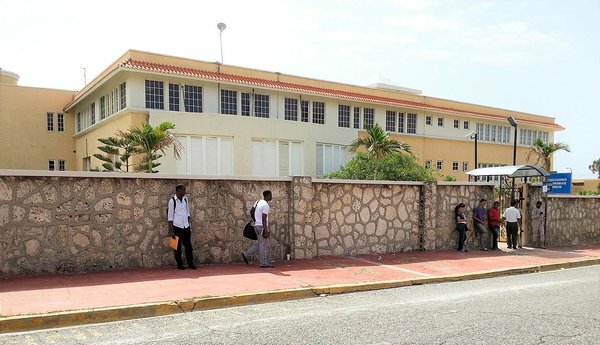 I got married to a Dominican national in the Dominican Republic back in 2001 is it possible to check if my husband has divorced me without my knowledge? Yes, please complete our order form, and send us his date of birth and preferably his cédula/ID card number. My ex-wife and I divorced in Santo Domingo in 1980, and I now need a copy of our Dominican divorce certificate. If I give you the approximate date of the divorce, and our full names, would you be able to help? Possibly. 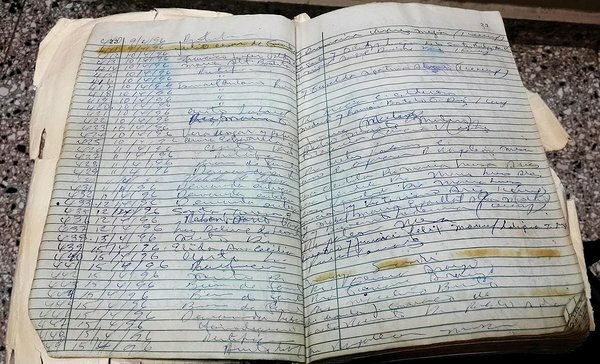 Many old records are not in the registry-office database, so if your divorce record hasn't been computerized, we have to search manually. 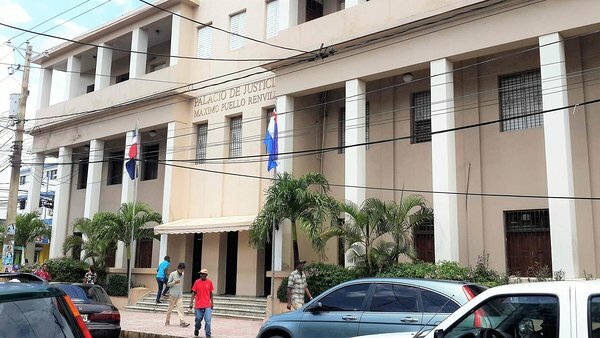 Santo Domingo has 16 registry offices, so to save us lots of legwork and telephone calls, please send us as much information as possible, for example, do you remember the name of your lawyer? I want a copy of my divorce papers but I'm not sure of the year and the date but it was in Tamboril please help. 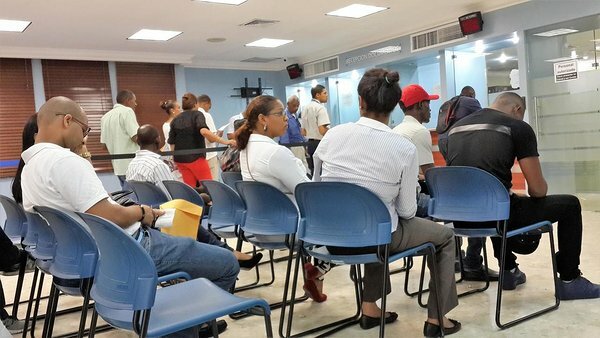 Thanks, if you send us your cédula (Dominican ID card) number, we may be able to track it down. Otherwise, unless your divorce record is in the registry-office database, since you don't even know an approximate date, it's going to be difficult for us to search. I am an attorney in the USA, representing a client who was granted a divorce in the Dominican Republic between 1/1/87 and 12/31/88? We are unsure of the exact date and place. Thanks, you've already told me that both your client and his ex-wife are non-Dominicans, which makes our search like the proverbial needle in the haystack. We can charge you for a search of the electronic database, and who knows, we may strike it lucky, and locate the divorce record, but I doubt we shall locate it. The only reliable way for us to locate the record would be if your client can tell us where and when the divorce was decreed. My ex-husband and I were divorced in the late 1970s a short drive outside Santo Domingo, I cannot find the papers. It was not a long drive as I remember but a very rural village at the time. The TV program "60 Minutes" had done a special on Dominican Republic divorces so it was around that year but I can't find info on it online. Thanks, without more specific details, it would be like searching for a needle in a haystack, since most old divorce records remain only in the original ledgers, and have not yet been entered into the registry offices' electronic database. I have recently re-married but never received a copy of my Dominican divorce certificate from my first marriage. Please complete our form on this page and we'll send you a quotation for our services. I need a copy of my divorce papers, my husband at the time came to Haiti for the divorce. Thanks, but we only handle cases involving Dominican public records, not those from Haiti.